The aviation industry has always been dominated by men. However, Stephanie Morgan along with five other leading ladies paneled it out this year, adding insightful discussions to the mix. This certainly was not the norm but according to convention enthusiasts, it as hard to guess. Each panelist was passionate and excited about what they were saying. It was clear that they all poured their heart and soul into being there and maintaining relevance. Business Women have gained a lot of notoriety in the past few years and Stephanie Morgan epitomizes the embodiment of success. The past decade has helped ignite a firestorm in support of the working woman. That woman can either own a business or rise through the ranks as a representative of another company. Either way, support, and success are mounting. Although, this is not simply a social shift that is causing this change. 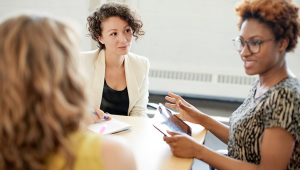 Women in the workforce are proving themselves successful, which is only propelling the movement. Stephanie Morgan’s tenacious spirit has opened doors for her and helped her succeed. Her success has persevered, even when the social odds were against her. Morgan always goes about acquiring the opportunities the right way. Once she has the chance, she immediately shows both supporters and naysayers what she is capable of. Stephanie Morgan was instantly looking toward future advancement. This was done by advancing her education and certifications. Advancement opportunities are not usually planned or fixed. They can come along when they are least expected. Therefore, successful business woman needs to be prepared. Therefore, as soon as Stephanie Morgan could, she became a Certified Member of the AAAE. This gave her a reputable certification and enabled her to meet an elite group of people within her industry. Stephanie Morgan prepares for any opportunity that comes her way. Morgan is a strong-willed individual. She rises through the ranks the right way. Plus, she makes a habit of showing people what she can do. The most recent opportunity that Stephanie Morgan took part in was the all-women CEO panel at the AMAC in Seattle. This panel was the first of its kind and was particularly insightful. Stephanie Morgan, took part in the panel alongside five other women. These were six, highly qualified, top-ranking women. While they are revered within their respective companies, that is not all. The women bring innovation to the industry. Their thoughts are vital to the industry, which is continuously growing. Hosting the first all-women panel is the start of a whole new perception within the industry. The most rewarding part for Stephanie Morgan her success earned her a seat among the six that started it all. In summation, Stephanie Morgan tries her best to be as capable as possible. Women throughout the United States and the globe a are learning from people like Morgan. Not only are they following their example, but they are also using their story to prove that women are bettering the workforce. By following her dreams, preemptively gaining industry certifications and making public appearances, Morgan is paving the way for future women. 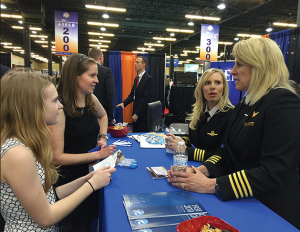 For over a year, Stephanie Morgan has worked diligently to propel her career in aviation. The last year and a half have proven to be a thrilling upward accent in the career for Stephanie Morgan of Lewiston, Idaho. While it has not been an easy feat, it has certainly been rewarding. Morgan has become an asset to the aviation field; through her work and her willingness to inspire others. While Stephanie Morgan is far from finished pursuing her goals, she is proud of her accomplishments thus far. Morgan’s efforts have proven essential in her progress. Doors are opening for her that she would have never thought she would achieve access to so quickly. May 2017 marked the month that began Stephanie Morgan’s journey. It was at this time that Stephanie Morgan was hired as a manager for the Lewiston-Nez Perce County Regional Airport Authority. Morgan was highly qualified for her position. Yet, having this responsibility was still a progressive and exciting step for Morgan. However, she excelled with ease, falling into the position with tact and grace. Stephanie Morgan was more than ready to accept this challenge. Therefore, accolades she received, as a result, came as no surprise. Even though her educational and field experience gave Stephanie Morgan the proper qualifications for the job, she is always learning. Therefore, as a personal challenge and to help further her occupational prospects, Morgan became a Certified Member of the AAAE. This is no small feat. This achievement is decided by occupational prerequisites, specific knowledge retention, and a test. While becoming a Certified Member of the AAAE is an honor, it is not a direct bump in a career. Rather, it helps boost a certified person’s reputation. This allows people like Morgan to meet with highly-regarded people in her field routinely. Thus, she has the opportunity to make important connections. There was a specific CEO panel at the AMAC in Seattle which received a plethora of attention throughout the convention. This was due to the panel being the first of its kind; The panel was entirely female. One of those female industry professionals was none other than Stephanie Morgan of Lewiston, Idaho. The six women are all revered within their field. Therefore, they were able to have a deep, bountiful discussion on their panel. This all-female panel was the first of many to follow, which brings new insight and perspective to the industry. These women set a precedent for a new era in the aviation industry. Stephanie Morgan is proud to be an active contributor to that new era. To close, Stephanie Morgan of Lewiston, Idaho is extremely proud of her achievements. All her efforts prove to be paying off quickly and effectively. Morgan’s hard work is rewarded both by her direct superiors and the industry. Plus, Morgan is making a life for herself while following her dreams. Throughout this journey, Morgan is learning that the greatest reward is coming as a result of hard work and accomplishment. Idaho is a beautiful area for the outdoor explorer. Whether you enjoy fishing, camping, or other outdoor activities there are plenty of places to enjoy nature. For Stephanie Morgan, though, fishing has always been an enjoyable pastime. The calmness of the water, the excitement of getting a bite and the allure of going new places is alluring. Fishing is one of the oldest activities. There are some people who still use a form of fishing to make a living. Although, most people in the modern world consider it a hobby. 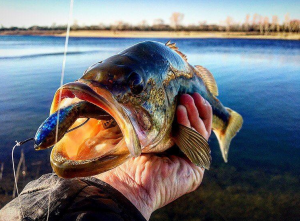 Regardless of what it is considered though, the fish tales, superstitions, and favorite spots are still a fishing staple. Stephanie Morgan is proud to participate in the 2018 AMAC Convention as a CEO panelist. Stephanie Morgan has always flown way above the bar of expectancy throughout her professional life. Yet, out of her many accomplishments, one recent experience ranks among the top. During the AMAC Convention, Morgan was able to be a CEO Panelist and a representative for her airport brand. This would have been an accomplishment for anyone. However, what makes the experience even sweeter is that this all-women CEO Panel was the first of its kind. In addition to being chosen by her airport to represent them, Stephanie Morgan feels as though she made history. It is not every day that a person gets to make a statement like that. Stephanie Morgan is certainly pleased to have the opportunity. Plus, she was honored to speak with other female professionals in her industry. The Lewiston-Nez Perce County Regional Airport Authority hired Stephanie Morgan in May 2017. Even though Morgan was highly qualified for the position, the transition to managing a team came with its challenges. Yet, Morgan was able to handle the change with grace and clarity. It did not take her long to assume her role naturally and excel. Eventually, Morgan settled into her role. Once she found stability, she pursued a new feat. Recently, Stephanie Morgan became a Certified Member of the AAAE. While this is not a job requirement, the honor grants her perks that help her achieve her industry goals. This was a big deal for Stephanie Morgan. Stephanie Morgan is keen to qualify herself for ascension within the aviation ranks whenever she has the opportunity. Five equally established women sat alongside Morgan at the Seattle AMAC Conference. Each of these women came from different airports throughout the United States to represent their area of expertise. 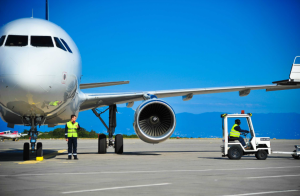 All the women chosen were highly qualified and renowned within the aviation industry. Thus, this was not only a learning experience for Stephanie Morgan; it was also an example of her aspirations. Morgan has goals for herself within this industry that she is going after passionately. Getting the chance to speak and connect with these successful women in her field helps create shining examples of hope. Stephanie Morgan is excited to continue advancing her aviation career. She knows her worth, her value, and how much this experience means to her. Therefore, she is going to do her best to take what she learned and implement it in her job. Despite being a valuable entity in the company, Stephanie Morgan knows there is always something to learn. Thus, she will always be ready to accept a new challenge. To close, Stephanie Morgan still cannot believe that her occupation gave her such a treasured memory. Learning and taking on new experiences has always been a part of Morgan’s nature. Yet, her tenacity and conviction still astound her. Stephanie Morgan hopes to participate in more panels in the future. Specifically, Morgan hopes to take advantage of the experience again this coming year. Fishing trips can be thwarted by the changing tides, but Stephanie Morgan of Lewiston, Idaho helps anglers discern a pattern. Tides are the pulse of the water. Constantly ebbing and flowing throughout the current, tides control the movement of the water’s inhabitants. Fish and other wildlife that live within the ecosystem understand the flow of the tide. It gives movement to their life. The changing of the tide is more important to the underwater community that time is to us. However, since humans do not live by the tides, there is only so much we can gather from its movement. Anglers are affected by this disconnect because it can sometimes be difficult to pinpoint when the fish will be biting. Fortunately, Stephanie Morgan of Lewiston, Idaho has acquired a few tips throughout the years. These tips can help fellow anglers turn the tides to their advantage. There is a specific pattern to the tides, which can be calculated to the minute. The phases of the moon weigh heavily on the times of high and low tides, in addition to weather factors. Yet, on normal days, without any outstanding anomalies, high and low tides can be tracked easily. There are a few reliable services available which track the tides, including the NOAA website. With this information, anglers will be able to know when the best time will be to drop their line. Fish, big and small, are directed by tides. Therefore, each movement of the tide gives fish transportation into what is perceived as safer water. When the tide comes in, the fish tend to come closer inland, preferring the shallower water to the dark depths of the ocean. However, when the tide goes back in, the fish retreat to deeper waters. Of course, it depends where you wish to fish, in deeper water, or in shallow water. Yet, for most beginning anglers, waiting for the tide to wash the fish closer to the land works well. Certain tides ebb and flow through bottlenecked areas. This is an area where the land compresses the available flow of water to a smaller space. This is a great place to fish during the changing tides. Not only are the fish pushed through that space exclusively, but a school is also forced closer together. This gives the angler the advantage, as their bait is easier to spot in a bottlenecked area. Therefore, whenever you can, you are going to want to fish in a bottlenecked portion the body of water. In addition to the tide, it is good to also be aware of the current. As an angler, you never want to push against the current. You always want to go with the current, because that is what the fish are doing. Going against the current is unnatural. Therefore, fish will stay away from a foreign object that is fighting what they rely on to survive. In summation, focusing on the tides and the current structure of the water is as important as the fishing location. Dropping your line in specific places, at specific times is crucial for a successful fishing trip. 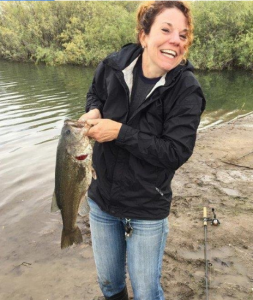 Stephanie Morgan of Lewiston, Idaho is sure that anglers who understand the tides are prone to attract their desired fish. Time management is essential for every businessperson and Stephanie Morgan Lewiston has gotten the skill down to a science. There is always something that can be done. For many businesspeople, there is usually a laundry-lists of tasks to be completed. However, regardless of a businessperson’s success, schedule, or availability, there never seems to be enough time to get everything finished. There is always too much to do and too little time to do it in. Fortunately, Stephanie Morgan Lewiston has tried it all, so you do not have to. While turning back the clock or adding a few more hours in a day is impossible, time management is not. Here are the top time-management tips from a renowned businesswoman, Stephanie Morgan Lewiston. Having a plan is always a good start when embarking on any journey. Therefore, it makes sense that developing time-management skills would not be any different. Making time for different tasks throughout the day or week helps to make a busy schedule manageable. Plus, it gives the planner both a big picture and a task-by-task analysis of what they must accomplish. Planning helps to keep on top of deadlines and gives business people a way to mentally prepare for the days ahead. Additionally, while planning, make sure time is carved out for meals, unexpected tasks, and timeframes for planning your next week. Also, overestimate the time it takes to perform a task. It is rare that tight time-schedules remain intact. It is much better to be done early than to get backed up. Time-management is also creating project management. For bigger projects, set up smaller milestones throughout the project, so that you are not overwhelmed. This way, instead of taking on a three-hour project, you are taking on three one-hour projects. This will give you a sense of accomplishment and help you stay motivated to continue onto the next task. Often, people forget to delegate. They feel they need to be the person with their finger on the pulse of every portion of every project. This is not the case. Knowing how to delegate to get the best result possible is a far greater skill than doing everything yourself. The point is to get it done and truthfully, there is always going to be a more capable person. Using teamwork to get ahead is far less stressful and far more productive than trying to do everything by yourself. Help your team but also, ask your team to help you. It might feel awkward at first but often, people do not know how to help. If they are asked to help and given direction, they will be happy to assist. To close, businesspeople are always searching for a more efficient way to complete their many responsibilities effectively. There are many different tactics that work for different people. However, the tips that Stephanie Morgan Lewiston shares are simple and easy to prepare. Give them a try and enjoy a better work/life, time-managed existence.